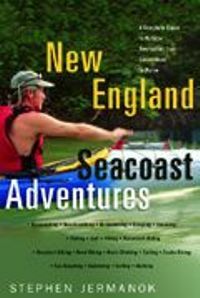 New England Seacoast Adventures,by Stephen Jermanok, 2002. A complete guide to outdoor recreation along the coast from Connecticut to Maine, organized geographically. Activities include birding, hiking, surfing, sailing, paddling, scuba diving, golf and many more. Also offers info on campgrounds. 242 pp, 6" x 9"